Witness how art, fashion and knitwear envelop the body in an elegant and desirable bliss. 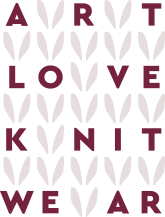 Founded by a family remaining true to its heritage in knitwear for the past 20 years, Art Love Knitwear introduced a new knitwear concept blending tradition with contemporary aesthetics. By merging together their firmly established expertise, fashionable pattern and high quality technical yarns they have succeeded in coming up with unconventional fashion knitwear and an Athleisure Line heralding a new era in quality knitwear. TArt Love Knitwear needed to come up with a brand new company logo, brand website and e-shop in order to communicate the brand’s fresh new feel and high aesthetics while placing emphasis on the company’s hand-knitting tradition and expertise and promote its uncompromising love for Art, Fashion and Knitwear. At the same time, it needed a website that would act as a sales channel following the trends and best practices of the modern era. Art Love Knitwear needed to come up with a brand new company logo, brand website and e-shop in order to communicate the brand’s fresh new feel and high aesthetics while placing emphasis on the company’s hand-knitting tradition and expertise and promote its uncompromising love for Art, Fashion and Knitwear. At the same time, it needed a website that would act as a sales channel following the trends and best practices of the modern era. The goal was to bring the company’s brand identity up to date while promoting its long lasting knitting heritage and express its love for art, fashion and knitwear. The goal was achieved with a subtractive logo inspired by the texture of knitwear. A logo created with heart shaped stitches and spaces between the stitches and the typography that create a whole as part of the knitwear. 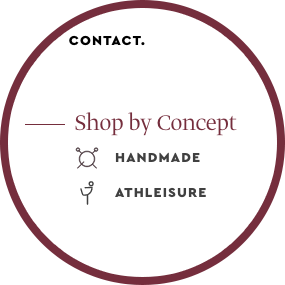 The burgundy color chosen for the logo expresses the warmth of knitwear and love for fashion and art. The e-shop on the other hand captures the very essence of the brand with elegant touches and thread elements to support the high-quality raw material used for the production of Art Love Knitwear. 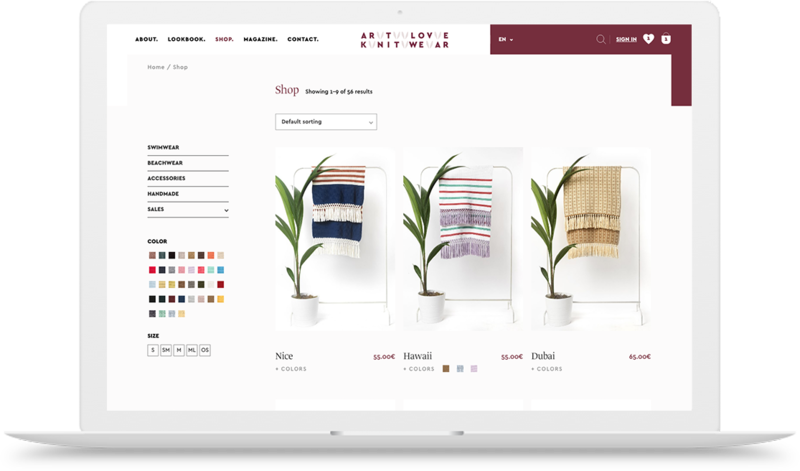 With custom images supporting the two product categories and a magazine-like user-friendly layout the e-shop promotes the elegant boho style of the brand and highlights its area of focus: women everywhere.